To manage deals, Categories and Products are important factors as they help segment your deals based on various verticals or products you have. 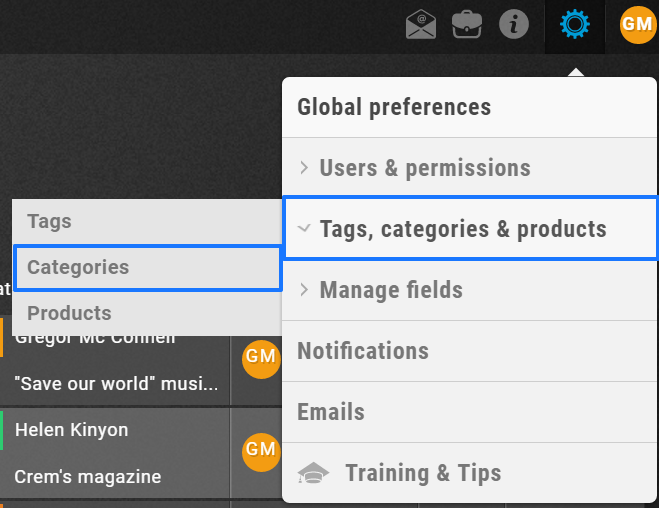 You will be able to able filter your deals as well as set up specific reporting based on the Categories and Products. Your category has been renamed will be reflected across UPilot upon refreshing. Your product name has been updated and will be reflected across UPilot upon refreshing. When deleting a category or products, it will be automatically removed from any associated deals as well. The selected categories and products in those categories have now been deleted. Select the products to be deleted from the list. Click on ‘Delete this product’. The selected products have now been deleted.